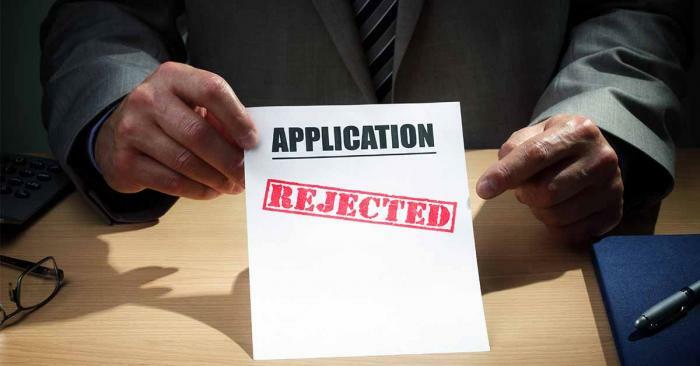 Receiving news of a job rejection can feel like a punch to the gut, particularly when you have put all your energy into ensuring you submitted the best application you could, spent time and effort on tweaking your CV and went through the vigorous interview process. It is a deeply unpleasant feeling and can really bring you down. Knowing that your hard work, efforts and determination have ultimately come to nothing can be a bitter pill to swallow, and this only intensifies with each rejection you receive. Indeed, when the answer is always ‘thanks but no thanks’ it can be difficult not to fall into a rut. However, this will only lead to further rejections and a vicious cycle, as a negative mindset will put you at a real disadvantage when applying for future positions. So how can you break the cycle and overcome a string of rejections to land on your feet, allowing you to find that ‘yes’ you’ve been searching for? Being turned down can be a real knock to your confidence, but don’t let the experience go to waste. Even though it may not feel like it at the time, you can take some positives out of being rejected for a job. Instead of wallowing in self-pity, spin the experience on it’s head and consider what lessons you could take from the process. You may spot ways in which you could improve your answers in an interview, or notice potential changes in the way you could present yourself. This can be particularly useful if you can obtain feedback as to why you were rejected. Building a wealth of experience and learning your lessons will give you a better shot at your next interview or application, when you can put all the information you have accrued into good effect. It is no use receiving feedback from employers that have turned you down and then not acting on it. For every bit of advice or any explanations you receive as to why you didn’t quite make the cut, ensure that this is at the forefront of your mind for your next application. Collecting a wealth of tips and advice can give you a better insight into what employers are actually looking for, and allow you to focus on bridging the gap for a stronger and more successful application. It can be easy to pin your hopes on that dream job that you have come across, putting all your focus and attention solely on landing the role that seems tailor-made for you. Should you fail to be offered the position though, it can really sting and leave you with nothing else to fall back on. Apply for a number of jobs and keep your options open. Not only will this lessen the blow of being turned down for the only role you have shown a real interest in, it will also give you room to manoeuvre down the line. With no other alternatives to fall back on, a rejection can see you fall into a slump that can be hard to break out of. So long as there are other potential jobs in the pipeline, there is a greater incentive to keep plugging away. It can be easy to beat yourself up about a string of rejections and begin to question your ability. However, it is time to cut yourself some slack. Take the time to focus on your strengths and what you could bring to an employer, before identifying your passions and interests. You now have something positive to turn your attention to, and you’ll be able to ensure you have a better hand to make your assets the key selling point for future applications. Working on ensuring your assets and passions come through in your next interview could make the difference between being offered the post or not. After all, it is the most passionate candidates that very often land the job. More people are turned down for jobs than are hired, and learning to accept this fact can numb the pain of being rejected. Simple maths dictates that for everyone 20 people applying for a position, 19 are going to be left disappointed. Instead of allowing these figures to get the better of you, use them as motivation to ensure that you do all you can to be that one next time. Don’t get disheartened, simply dust yourself down and focus on the next opportunity.